The weekly staff newspaper of the European Commission (where I work as a translator) did an interview with me about the Brussels Brontë Group. Many members of the group work at the EU institutions in Brussels. The newspaper has a circulation of around 50,000. 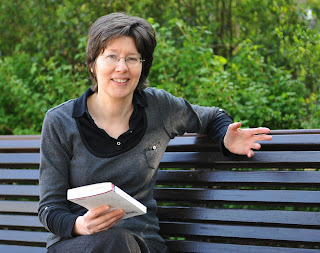 Helen MacEwan, an English translator in DGT, talks to Commission en direct about the Brontë sisters’ connection with Brussels and the society she set up to celebrate one of the world’s most fascinating literary families. How did the Brussels branch of the Brontë Society start? Soon after moving to Brussels, I re-read Charlotte Brontë’s Villette and became fascinated by her two-year stay in Brussels, on which the novel is based. I started to read more about her Brussels years and the places associated with her stay here. I was already a member of the UK Brontë Society and it seemed logical to start up a branch here because of the importance of Brussels in Charlotte Brontë’s writing. The Society has members worldwide and there were already some in Belgium but no events or meetings had ever been organised here. The group has grown from a small core of about eight people who met in my sitting-room in 2006, to around 150 on our mailing list today. Our events are open to everyone, not just Brontë Society members. What is the connection between the Brontë sisters and Brussels? 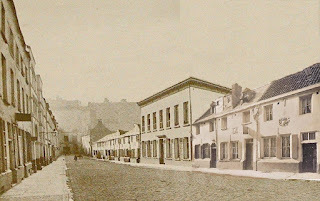 The two eldest of the three sisters, Charlotte (then 25) and Emily (23) came to Brussels in 1842 to study. The family was not well off and they had been employed as governesses but hated the work and wanted to start their own school. They needed to improve their French in order to teach it. They stayed at the Pensionnat Heger, a girl’s boarding school near Place Royale, where they taught English, as well as learning French and also German. How much of an influence did their time in Brussels have on their work? On Emily’s work, probably not much, although in Brussels she read some German romantic literature which may have influenced her novel Wuthering Heights. That she was motivated enough to come here at all is amazing, since she rarely left Yorkshire and was always homesick away from the family home on the moors. But on Charlotte the influence of her time in Brussels was huge. Two of her four novels, The Professor and Villette, are based on her time here, and in Villette she portrays the man she fell in love with, her teacher Monsieur Heger. Villette is about the experience of being an expat in Brussels and when you read the novel after living here it seems much more vivid. Why do you think that Wuthering Heights has had such an enormous influence on all aspects of culture and continues to be reinterpreted time and time again? As well as being endlessly analysed by learned critics, it has, of course, great popular appeal and there have been countless films and other adaptations. It fascinates each generation anew. Like Romeo and Juliet, it is a love story, a tragic one with no conven­tional happy ending – Heathcliff and Cathy are never united in life, since she marries someone else and then dies young. It is, in fact, a very odd novel, far removed from a conventional romantic love story. Cathy dies halfway through, and for the second half Heathcliff is obsessed by the idea of being united to her after death. It fires people’s imaginations because the passions are so intense, Emily Brontë is such a dramatic and poetical story-teller, Heathcliff has become everyone’s idea of the romantic Byronic hero, and the wild moorland setting and supernatural elements make the story so haunting. The hero and heroine are larger than life, like characters in an epic, a myth or a Greek tragedy. Do you think the Brontë sisters were ahead of their time? Their works were certainly different from other novels of the time, and shocked contemporary readers by their outspo­kenness. In fact, in some ways they had more affinity with the earlier Romantic period of Byron than with the more prudish Victorian literature of their own time. In a sense, they were timeless, not defined by any period. But Charlotte was ahead of her time in depicting feisty single women like Jane Eyre who worked for a living rather than the idealised and more submissive heroines of conven­tional Victorian novels. 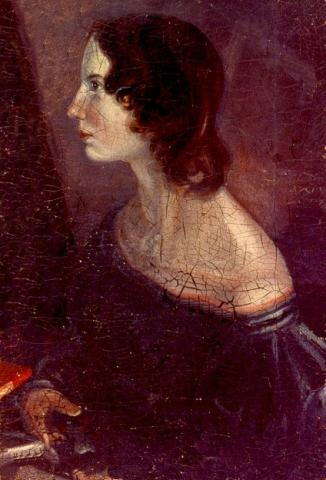 The youngest of the three sisters, Anne, was also ahead of her time in writing frankly about the trials of a woman in an abusive marriage in The Tenant of Wildfell Hall, going into details which were thought scandalous at the time. In your reading group, do you read other authors too? Yes, we read 19th century literature in general. Jane Austen is always hugely popular and we also read the other main novelists of the period – Dickens, Thomas Hardy, etc. Apart from the reading group, one of our most popular activities is our regular guided walks around places in Brussels associated with the Brontës’ stay. There is a lot to see and talk about even though the school where they stayed was demolished and the site is now occupied by the Palais des Beaux-Arts. We also hold regular talks on all aspects of the Brontës. 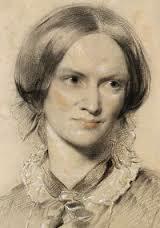 Once a year, we organise a Brontë weekend. In the past, we have had audiences of up to 80 people. The group is multinational and I have been pleasantly surprised by the tremendous interest in the Brontë sisters among people of all national­ities. Many of them were previously unaware of the Brontës’ Brussels connection. Aside from your passion for literature, what other things interest you? My other great love is history and one reason I enjoy reading the literature of previous centuries is that it is the best way of getting the feel of a period. Where are you from, and what has your career path been until now? I’m British. I studied French and Spanish at university and then took a post-graduate teaching qualification. After some years teaching English as a foreign language in Spain, I moved into translation, also in Spain, working as a company translator at Deloitte, among other firms, before coming to Brussels in 2004.